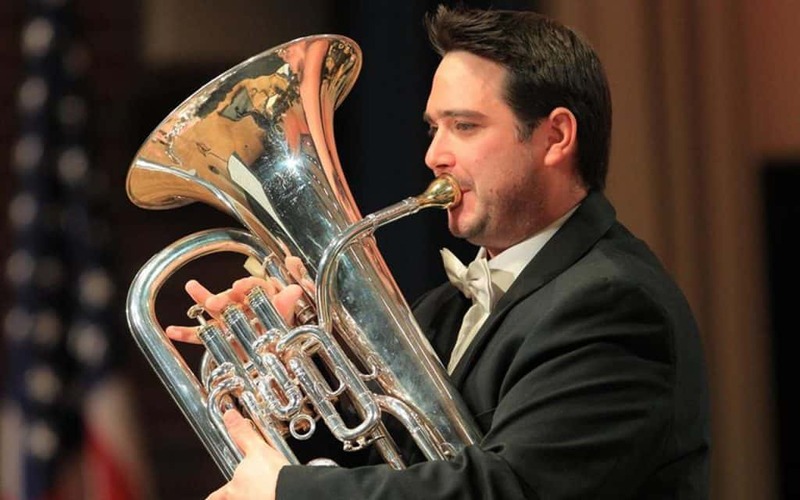 Virtuoso euphonium player David Childs, who is a Besson and Alliance artist, was featured at the RNCM Brass Band Festival and live on BBC Radio 3 recently playing an important new work. Edward Gregson’s new Euphonium Concerto, commissioned by David, received its UK premiere last week with Tredegar Band under Ian Porthouse at the RNCM Brass Band Festival. David played the demanding solo part to huge acclaim from the audience. David had previously played the work in its incarnation for brass band on 16th June 2018 in Kawasaki, Japan with the Senzoku Gakuen College of Music conducted by Robert Childs. Further performances took place in the Autumn in Belgium and Switzerland. The three-movement concerto, lasting some 22 minutes, is a truly symphonic work in both its structure and scale. Its three movements, subtitled Dialogues, Song without Words, and A Celtic Bacchanal, explore the full range of the technical, musical, and emotional scope of the euphonium. Congratulations to David on a brilliant performance of this significant new concerto for euphonium!